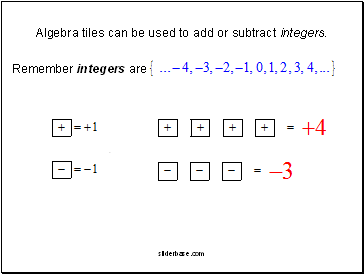 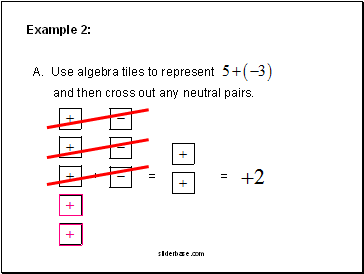 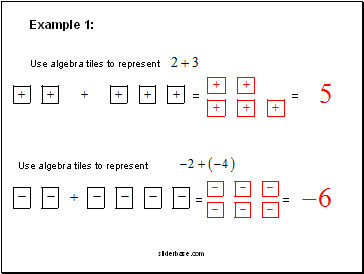 Algebra tiles can be used to add or subtract integers. 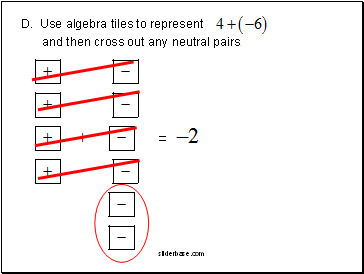 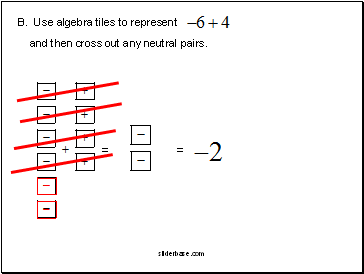 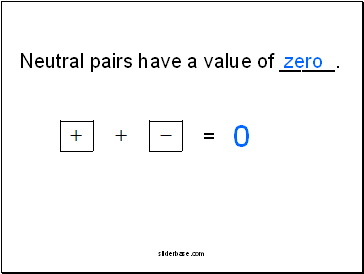 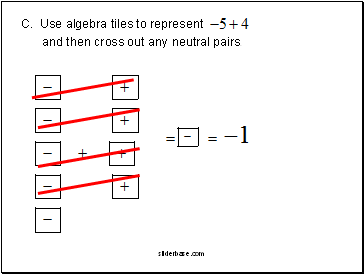 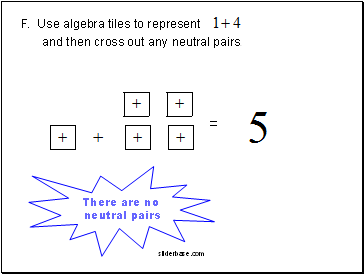 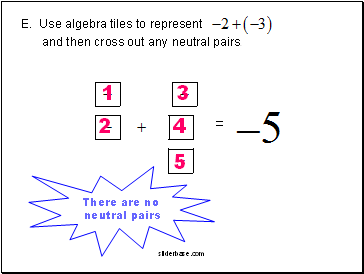 Neutral pairs have a value of _.
and then cross out any neutral pairs. 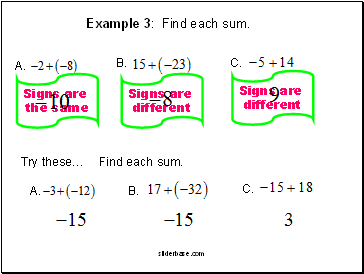 Example 3: Find each sum. 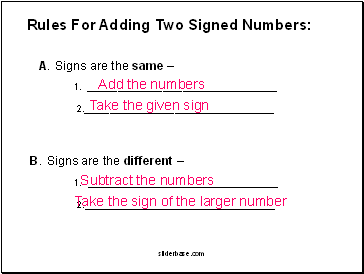 Try these… Find each sum. 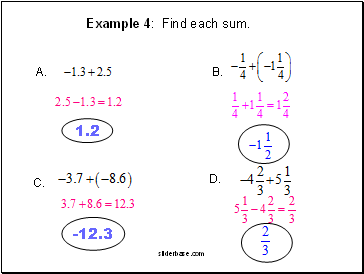 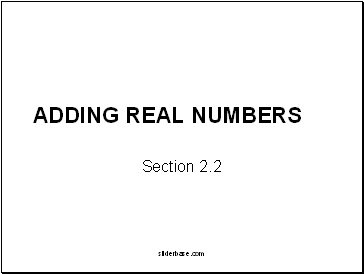 Example 4: Find each sum.